Caio Mancini – Blog do Caio, consultor Oracle. 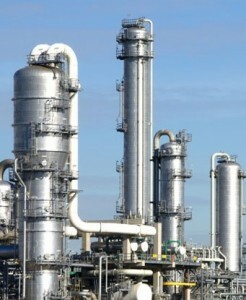 Assuntos relacionados à tecnologia industrial e utlização de ERPs. Blog do Caio, consultor Oracle. Assuntos relacionados à tecnologia industrial e utlização de ERPs. What manufacturing’s system should we use? Discret or Process? When an industrial customer begans the implementation process of an ERP system, one of the most common error is choose the wrong manufacturing software. This happens because there are big differences in the core business from a manufacturing company who performs as a discrete and another who performs as a process manufacturing. As an EBS Oracle Manufacturing Consultant, this is a major decision and it must be taken well right. I see many companies choose the application suite in a wrong way to meet your needs and after a while, find yourselves with many problems and “technical solutions” for a whole life. So, let’s see below the main differences between one kind of manufacture to another. The Discrete Manufacturing deals often with assemblies, produces exact things. Like machines, cars, home appliances. Example, when it makes pens, you can produce, let’s say 1000 pen’s units or 500 pen’s units and you can’t produce 95.5 pens. If it’s need to dismount a pen and use its cap in another pen, it’s possible with a certain effort or you can just return each of of its pieces to your inventory. Now, the process manufacturing usually deals with commodities, pharmaceuticals products, foods, beverages, oil, gas and things like that. It’s normal to measure the productions using units like kilos, liters, pounds, cubic meters, oz, etc. The conversions between one unit and others is kind of mandatory. The reassemble or disassembly of finish good is, almost all the times, impossible to be done and when it is made there’s no warranty that you’ll gonna have the same product that you had before. Other peculiarity of the process manufacturing is that the process are made through mixing, blending or transformations instead of assemblies and the results sometimes is different from what was expected. 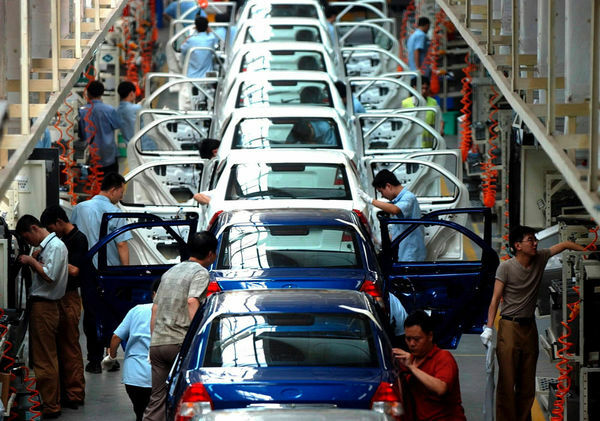 In discrete manufacturing you can’t make half product, if you want to make a car, you must issue all components to produce it, while in process manufacturing, if you have some ingredient shortage, perhaps you’ll be able to continue the production and yield half of the production. For discrete manufacturing we have a bill of materials (BOM) to structure products and its components, their quantities and all operations which each component is used. Now, for process manufacturing we use a similar structures called Formula, where ingredients are specified according its quantities and how each one behaves when they are scaled. Both manufacturing types have Routings, but with differences regarding what procedures each one performs. While in discrete manufacturing we basically have assembly actions (cut, turn, bend, assemble) and it says how much type each operation takes. In process manufacturing we deal with transformation’s steps (pick, mix, dilute, mill, fill, blend) and all of them can be related to standard times and how we can have independent types of scales and charges. How is made in Oracle EBS? In the Oracle EBS’ world there are 2 specific suites for each one of the manufacturing types. Both suits perfectly all processes. Below table shows the main process and theire related modules (based on EBS R12.1.3 version). There are differences for each one of the business process in the way that we can deal with requirements, data, pros and cons. The consultant always need to guide the customer to choose the best option for your business and avoid possible mistakens. For now that’s it, for next posts I want to detail some processes. See ya! Author Caio ManciniPosted on 21/04/2016 21/06/2016 Categories Articles6 Comments on What manufacturing’s system should we use? Discret or Process? What a Manufacturing Consultant does? In this very first post I’ll try to explain and talk about the work of being a consultant, how the things happen and some points that I always watch out as I start a new job. What a consultant does after all? In my case, I’m a consultant specialized in Manufacturing processes specifically using Oracle’s systems from its EBS solution called Discrete Manufacturing and Process Manufacturing (phew…). So basically what I do is attend to customers, usually big industrial facilities and sites which are already in process to implement the Oracle’s ERP or already have a system and need improvements. So, in these scenarios, I have the work to assess and analyse our customers’ processes, design (sometimes literally) new process or suggest improvements in those existing. After this phase comes the most complicated part that is “to marry” what our customer is currently doing with the new proposed processes and solutions. On future articles I’ll deep dive in this topic, but basically this is what a consultant (at least what I do) does. What do we need to know before start the implementation? Before to start getting my hand dirty, I go through an immersion phase about my customer. In this time a good web research is our best friend ever (I’m talking about Google, Duck Duck Go, etc). Quick example: if I’m to start a job in the next couple of weeks in an oil and gas industry, the first thing I do is simply get into their institutional web-site in order to know their history, culture, your customers and their working area and market. After that I got to a more deep research to understand their manufacturing process. How are their steps, dependencies. It’s amazing what we can find on the internet! This step is very important because besides of advance the mental work right at the beginning it can bring several questions and speculations on how and what will need to be done during the project. Academically there no, in fact, types of manufacturing. From the Engineering perspective, manufacturing processes are made of inputs, resources involved and their outputs, that is, your yielded products. But from the computational perspective there is a big difference on how different processes can be designed and implemented. These differences we can call methods and they can be characterized as Discrete Manufacturing and Process Manufacturing. Briefly, Discrete Manufacturing are the procedures to assembly a finish good, where this resulting good is always the same, at least as expected and within a narrow quality tolerance. Even there’s a chance to disassembly the finished good, returning back its components into the inventory for other future utilization. 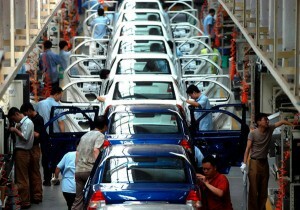 Cars factories and home appliances are good examples of this kind of manufacturing procedure. Now the Process Manufacturing is about transformation procedures, where the process basically happens through physical-chemical transformation or mixing or blending and etc, and not always the productive process happens as planned or even the they can be 100% controlled. That is the components and resources to make the same product might vary depending on several factors. The resulting finish good can no longer be exactly what was expected and even more than one product can be yielded throughout the process (by-product, co-product). Good examples are food industries, pharmaceuticals, petrochemicals, painting and coating. In a near future I intend to approach and dive even more in these topics and open good discussions about each one of them. For that I’ll always try to bring technical point and concepts about each theme, to conciliate knowledge and practice. Author Caio ManciniPosted on 17/07/2014 11/03/2019 Categories ArticlesLeave a comment on What a Manufacturing Consultant does?